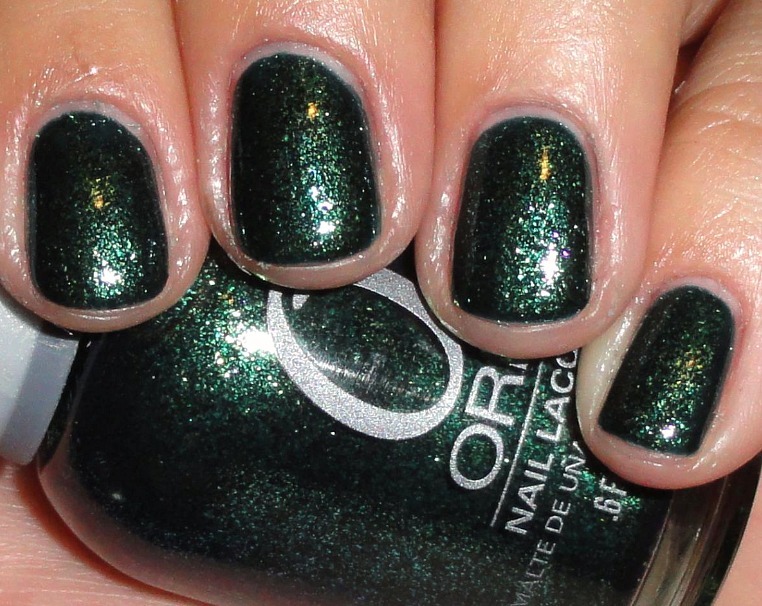 i ordered this awesome orly green for my beautiful friend sarah from look at them pretty colors blog. she graciously allowed me to try it out before i sent it to her. meet me under the mistletoe is a blueish tinged teal jelly with an emerald green glass fleck that is perfect for this season. this is two coats and a layer of poshe quick dry topcoat on my nubbins. 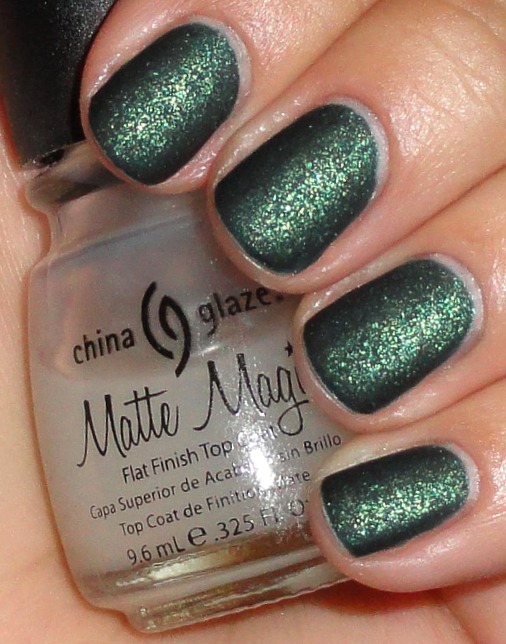 i didn't want to take it off so i layered china glaze matte magic over and it turned out amazing. textured polishes look so cool when they go matte. this looks so great eh? this product was borrowed from a friend. please see disclosure statement for more information.